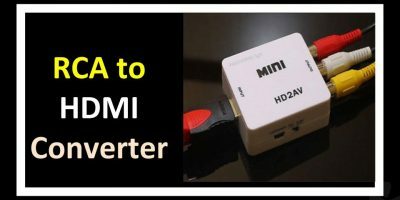 If you’re just getting acquainted with HDMI, you may come have across different versions of this versatile video connector. 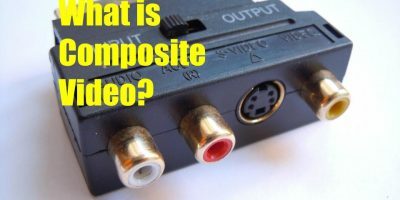 HDMI is unlike analog RCA (composite video) and S-Video connectors. The capabilities of the last two have remained unchanged over the years. HDMI, on the other hand, has evolved from HDMI version 1.0 to HDMI version 2.1. That’s at least seven main versions starting from 2002 to 2018. The different HDMI versions shouldn’t leave you confused though. Physically, in shape and size, all versions of HDMI connectors are the same. They only differ in their capabilities. What if You Choose the Wrong HDMI Version? The instruction manual that comes with your HD video equipment should state the HDMI version to be used with it. What if you don’t have a manual and went out and bought a newer version of HDMI cable thinking it’s a standard one for all equipment? Worry not as you’ll not have to pay for your mistake. You can still use the newer HDMI version on older equipment. All HDMI versions are backward compatible. Only thing is you can’t use the newer features they support. 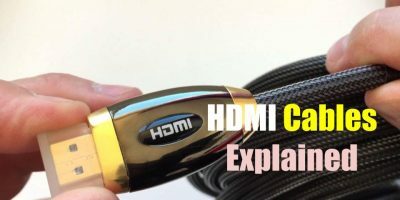 For example if you mistakenly buy an HDMI 2.0 cable for a device which you later find out supports only HDMI 1.4, you can use this cable without any problem. Only thing is you can’t get to enjoy the features supported by the 2.0 version. You may also have ended up paying more for it than if you had gone for the 1.4 version right from the beginning. With that said, let’s start with the first version of HDMI cable. HDMI 1.0 when introduced in 2002 had one aim – the transfer of standard definition and high definition video with two audio channels through a single cable. This is usually a hook-up between a DVD player and a TV or a projector. Introduced about two years later in 2004, HDMI 1.1 added support for DVD Audio, DTS, Dolby Digital and PCM audio (7.1 channels). HDMI 1.2 which made its appearance in 2005 came with the support for the transfer of SACD (Super Audio Compact Disc) audio from a supported playback device to a receiver. This HDMI version introduced in June 2006, offered support for Blu-ray disc and HD-DVD in terms of a wider range of colours and speedier data transfer rate up to 10.2 Gbps. Video resolution support was increased beyond 1080p but not exceeding 4K quality. Audio support was extended to handle Dolby TrueHD, DTS-HD Master Audio and Dolby Digital Plus. Most importantly, a mini HDMI connector (Type C) was introduced to support the transfer of HD video in compact digital devices like cameras and camcorders. Internet and home network connectivity (Ethernet) were bundled into a single HDMI cable. HDMI – ARC – Audio Return Channel – only a single HDMI connection was required to connect an HDTV and a home theater receiver. Audio signals are passed two ways – from receiver to TV and from TV to home theater receiver. This means audio originating from the TV tuner can be passed straight to the home theater receiver system without the need for a separate connection. 3D support via HDMI – two simultaneous 1080p video streams can be passed over a single connection accommodating 3D Blu-ray specifications. 4K video support at 30Hz frame rate. Digital still cameras provided with extended colour support. HDMI micro connector introduced. Devices like smartphones are now able to support HD video up to a resolution of 1080p. Automotive HDMI support. HDMI 1.4 reduced the effects vibration, heat, noise etc suffered by AV media devices in cars to maintain video and audio quality. 4K video – version 1.4 supported 4K video up to a resolution of 2160p at 30Hz. HDMI 2.0 extended it up to 60Hz supporting a data transfer rate of of up to 18GBps incorporating 8-bit color. Audio support is further expanded to handle up to 32 simultaneous audio channels – Auro 3D Audio, Dolby Atmos and DTS:X, state-of-the art immersive surround formats. Four separate audio streams can be transmitted to separate listeners. Native 21: 9 (2.35.1) aspect ratio is supported. The main feature of HDMI 2.0a rolled out in April 2015 is its support for technologies related to HDR (High Dynamic Range) – such as HDR 10 and Dolby Vision. So, if you have an HDR 4K UHD (Ultra High Definition) TV, HDMI 2.0a, will allow you to enjoy increased brightness and contrast. Colours will be more vibrant and life-like compared to standard 4K TV. To enjoy HDR on your TV, video content must come embedded with HDR metadata as in 4K Blu-ray discs and premium video streaming services. In this version HDR support is extended to incorporate the Hybrid Log Gamma format, the use of which is planned for 4K broadcast over platforms like ATSC 3.0. At the time of writing (2018) HDMI 2.1 is the most up-to-date HDMI version. Though announced in early 2017 it didn’t find implementation until the end of the year. Devices incorporating the features supported by the 2.1 version didn’t appear until in the market until 2018. HDMI 2.1 is expected to mature in 2019 when more consumer products are rolled out to exploit its features. 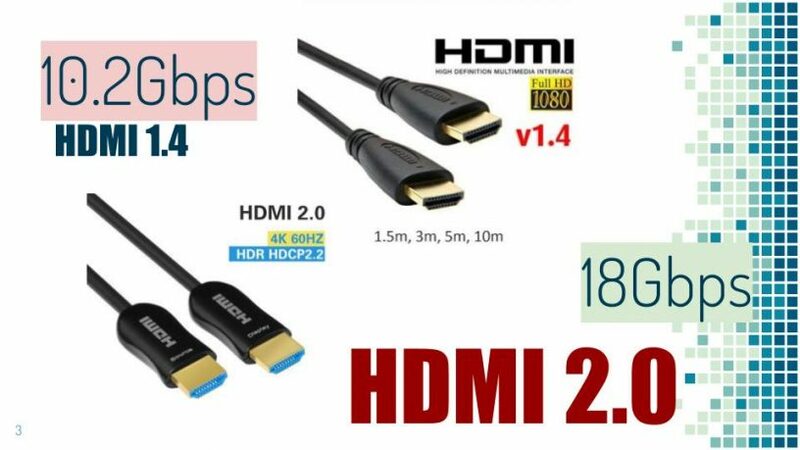 Chances are you may not be using the features of HDMI 2.1 for a long time to come. However, it’s good to know what’s in store. The highlight of HDMI 2.1 is improved video bandwidth. This version could accommodate video data transfer of up to 48 Gbps. Of course this ultra-high speed HDMI 2.1 cable is backwards compatible. It can be used on other HDMI-enabled devices but the improved features that come with this HDMI version will not be supported. Dynamic HDR and 10K resolution for special commercial equipment. Wide Color Gamut (WCG) is available at 10, 12 and 16 bits. Gamers are in for a treat with HDMI 2.1. The Variable Refresh Rate (VRR) optimizes a 3D graphics processor for quick image rendering to cut down or even remove lag, stutter and frame tearing, to ensure smoother detailed, gameplay. The Quick Frame Transport (QFT) will reduce latency. Blank-screen wait time is also reduced with the Quick Media Switching (QMS) feature. Auto Low Latency Mode (ALLM) when activated will automatically set the optimum latency level to provide a smoother video viewing experience. On the audio side of things eARC is introduced. This upgrade to the Audio Return Channel enhances the HD audio connection between devices with a significant increase in bandwidth supporting Dolby Atmos and DTS:X. With HDMI 2.0 (ARC) it was about one to four megabits a second and with HDMI 2.1 it’s is up to 40 megabits a second. The evolution of HDMI is not expected to stop at version 2.1. 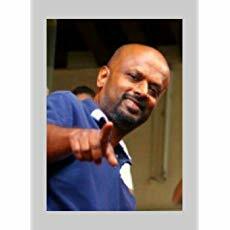 It is expected to rise up to the challenges thrown at it by developments in cutting-edge video technology.